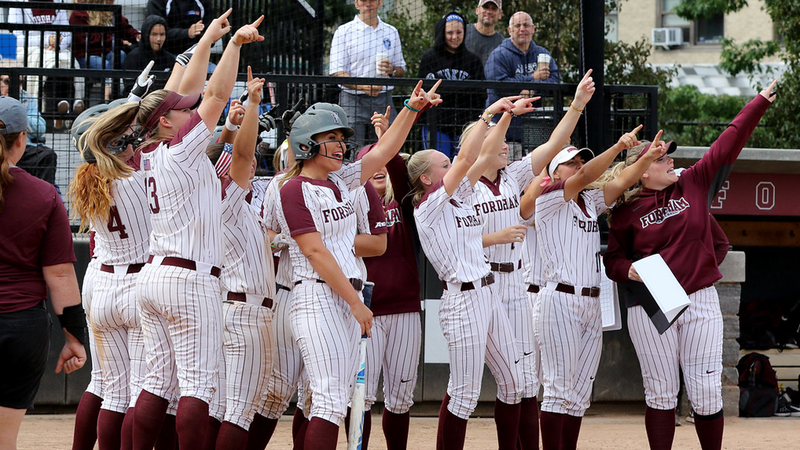 The softball team does their traditional home run celebration (Courtesy of Fordham Athletics). 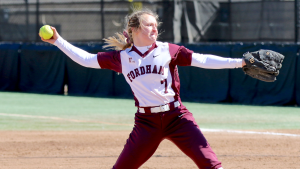 This past weekend, Fordham Softball head coach Bridget Orchard earned her 600th win as head of the program, extending her own record, as her team won three of the four games they hosted over the Fordham Tournament. 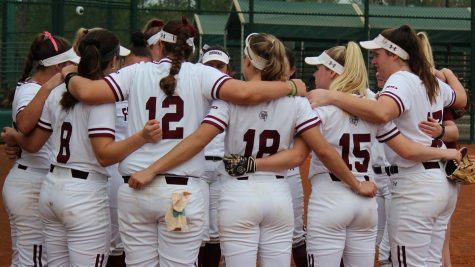 It was the team’s first set of games playing at Rose Hill after a number of tournaments across the country to start the season. 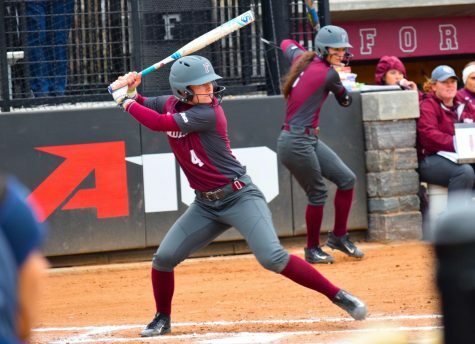 Despite the lousy weather, being back at Bahoshy Field was a welcome change for the Rams. 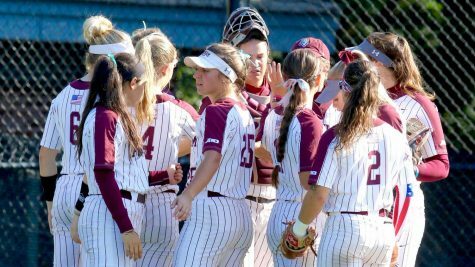 The comforts of home and some good nights’ rest paid off for the Rams. 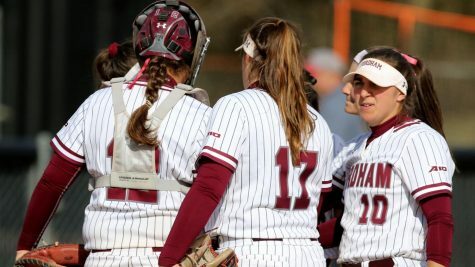 On Friday afternoon, Madie Aughinbaugh picked up her first pitching win of the year and drove in the go-ahead run to help herself in a 5-2 victory over University of Massachusetts Lowell, getting support from powerful senior Madi Shaw as well, who plated three RBIs of her own. 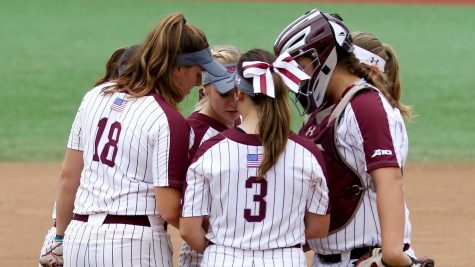 The team split their two Saturday matchups, falling to Holy Cross in eight innings, 7-6, before defeating Seton Hall, 9-2, behind another solid pitching performance from Aughinbaugh and homers from Shaw and Skylar Johnston. 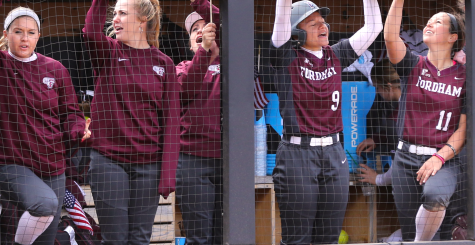 On Sunday, the Rams’ offense erupted for 21 runs in a dominant shutout of Detroit Mercy, invoking the mercy rule in five innings. 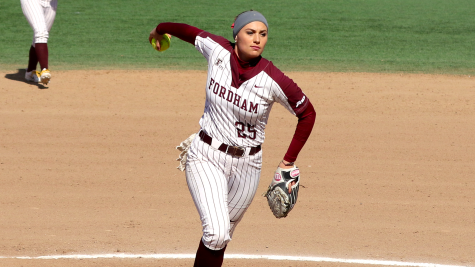 Orchard cited the team handling the cold temperatures and suspect umpiring as examples of staying within themselves. 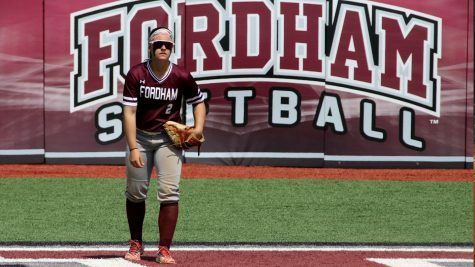 With this approach in place, the runs came early and often for Fordham, as nine batters tallied 24 combined hits, including two each from Shaw, juniors Jordy Storm and Deanna Burbridge and freshman Paige Rauch, not to mention the 13 walks or hit batsmen the Rams drew. 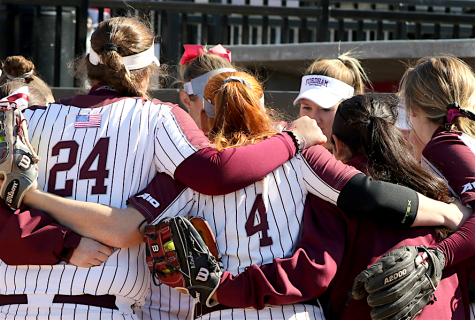 The Rams will look to carry this momentum into the regular season. 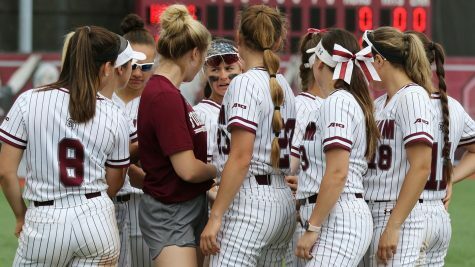 They are set to face Stony Brook on Thursday before visiting Ohio for a weekend series against conference foe Dayton.